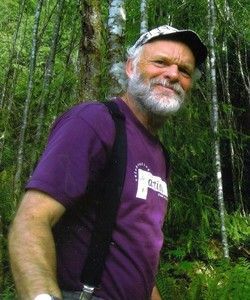 Kevin Neish was a Canadian on-board the Gaza Freedom Flotilla that was attacked by Israeli forces this month. In an exclusive interview with VMC, Kevin talks about what happened during the massacre, the need to resist the Israeli attack, the Israeli propaganda machine, and the recent red herring attacks on Libby Davies. Great contribution Kevin, thanks for the interview. It is incredibly useful to have the testimony of a person who was actually present on the ship rather than the speculative rhetoric of the mainstream media. Lazy journalists in the mainstream channels seem to belive that press releases from governments constitutes a story in and of itself without any need for critical analysis, a sad day for media indeed. I agree that the emphasis on Libby Davies saying 1948 instead of 1967 is nothing more than a ploy by the diaspora Zionists seeking to shift attention away from the massacre, the violation of international law, humanitarian law, and the treatment of the three Canadian nationals. Keep speaking truth! This was hard to listen to but good to listen to. Thanks for the coverage.